Get quality uniform at affordable prices thanks to Tibard, with our full range of services including laundry, embroidery and bespoke design all of your workwear issues will soon be completely sorted. Tibard is a nationwide uniform supplier with a diverse range of services that caters to a number of industries. 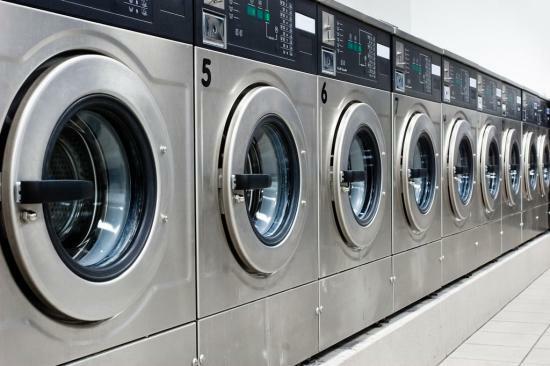 Some of the services we provide include commercial laundry and uniform rentals, this is because we know that different companies require different things from the uniform. We provide uniform and workwear solutions to businesses in Warrington and Cheshire with our vast range of garments used in different sectors. As a uniform manufacturer and supplier, we have an incredibly wide range of garments for you to purchase. So whether it’s a single piece or a bulk order you can rely on Tibard. A great looking uniform can be a fantastic way to reinvigorate a business and capture the attention of customers. At Tibard we have such a wide range of workwear garments that you’re sure to find something that will appeal to you, furthermore we have almost forty years successfully providing uniforms to business in Warrington and Cheshire, we’re happy to provide you with our expert advice to anyone interested in learning more about how to maintain a great uniform. Moreover, we have great prices for businesses wishing to purchase bulk orders and we have a premium level of customer services so should you need your order changed or adapted we’ll be happy to help. Our workwear and uniform solutions help provide a professional face to companies all around Warrington. Providing this workwear at competitive prices has garnered us a loyal following Manchester, Liverpool and Warrington as we consistently deliver with every order regardless of size. Our garments are of the best quality possible from the affordable t-shirts to the bespoke chef jackets each item featured on the website, we stand by every product. Furthermore each of these items can be adapted with our embroidery service to have either your logo or your staff member’s name on your business’ uniform. Tibard provides uniforms for a plethora of businesses in the hospitality sector. Warrington based businesses such as hotels, restaurants and cafes can all find something new and different to add into a uniform. Moreover, we have a selection of safety and high visibility items if you’re working in construction or managing facilities. Our chef uniforms are also very popular in restaurants throughout Warrington and Cheshire as we began designing and manufacturing high-quality chef jackets back in 1979. Tibard sells high quality uniforms to businesses in Warrington and Cheshire however we also provide a number of other services as well to ensure your staff remains looking their best. For example we have a reliable and easy to use rental service which allows you to get uniforms for a large number of people for a short period of time. Also we utilise our skilled commercial laundry service who can clean your staff’s uniform with a record rate for turn around.